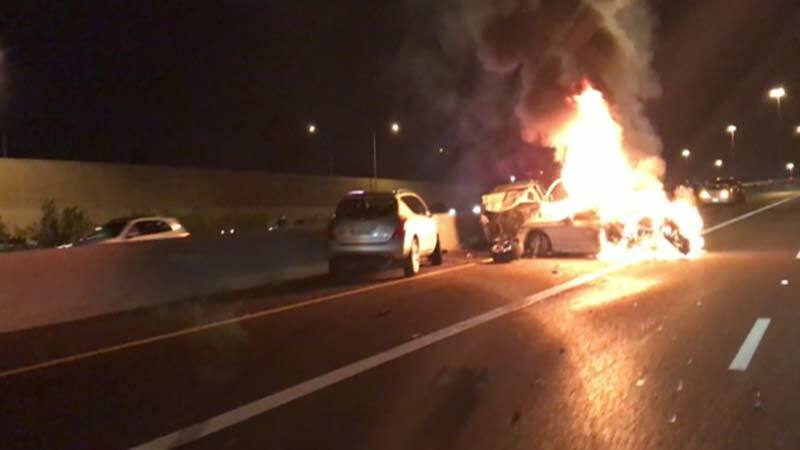 Tempe, Arizona—Seven vehicles were involved in an accident which sent two people to a trauma center and injured eight others as Tuesday evening’s commute ended. The Arizona Department of Public Safety closed southbound Loop 101 near Southern Avenue for several hours. DPS accident investigators state that a pickup truck reportedly drove on the left shoulder of the freeway at a high rate of speed in an attempt to pass several other vehicles. The driver allegedly struck the barrier wall, which caused him to swerve and strike the other vehicles. The Tempe Fire Department reports that two cars were consumed by fire.